The day before the charity event, during an 8 hour session, Beady Eye went into RAK studios to record and mix their version of the song from The Beatles’ ‘Let It Be’ album. 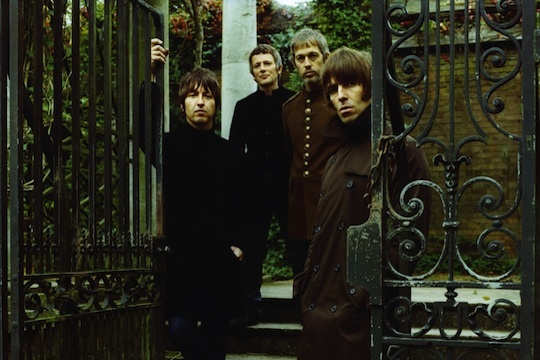 Beady Eye have today made the track available for a limited period to download through their website. All proceeds from the sale of the track after VAT, credit card fees and mcps, (62p) will go directly toward the British Red Cross Japan Tsunami Appeal. Beady Eye Records have three posters commemorating the event, designed by Gem, that will be given to three lucky fans chosen at random who download the track. The posters have been signed by Liam, Gemand Andy. The Japan Disaster Benefit has so far raised over £150,000 for the British Red Cross Japanese Tsunami Appeal. To read more about the Red Cross’ work in Japan and to donate, click HERE!